"A final consideration concerns those faithful who for various reasons choose to attend churches officiated by priests of the Fraternity of St Pius X. This Jubilee Year of Mercy excludes no one. From various quarters, several Brother Bishops have told me of their good faith and sacramental practice, combined however with an uneasy situation from the pastoral standpoint. I trust that in the near future solutions may be found to recover full communion with the priests and superiors of the Fraternity. In the meantime,motivated by the need to respond to the good of these faithful, through my own disposition, I establish that those who during the Holy Year of Mercy approach these priests of the Fraternity of St Pius X to celebrate the Sacrament of Reconciliation shall validly and licitly receive the absolution of their sins." My friends, this is good news. Undoubtedly, good news. There are those who are arguing that this is a bad because it represents a further "concession" of Rome and a further "victory" for the SSPX. Yes, this is a concession from Rome; and yes, it certainly is a victory for the SSPX - but Rome and the SSPX are not "against" each other, as if the SSPX "wins" and Rome "loses." People who think that way see these two groups in fundamental and irreconcilable opposition; they do not want the SSPX to reconcile with Rome. They want the SSPX to go off into oblivion (or for Rome to). My friends, I have argued in the past on this blog that I believed the SSPX were in an objective state of schism. I have argued for a traditionalism that is not yoked to the SSPX. I did not personally come to Catholic tradition through the SSPX nor do I feel I personally owe anything to Archbishop Lefebvre. Still, no matter what position you hold, this is good news. It is good because it is legitimate. It is undeniable. It removes us from the realm of speculation and debate and puts us on solid footing with something. There are some who will say that Francis should not have restored their faculties for confession without first settling their irregular canonical status. There are those who will huff and say that they didn't need to have their faculties restored because they were never validly revoked. Whatever. I am going to rejoice in this, and rejoice in it fully, without any "yeah buts" or "should've beens." It is ironic that Francis, in his obvious lack of any care for the specifics of doctrine, is better poised to reconcile the SSPX than Benedict, for whom every doctrinal issue had to be settled first. Francis' approach to the SSPX has only been generous thus far; it is not perfect. He no doubt sees the SSPX and traditionalism as one of many "ways" of "expressing" the infinite "creativity" of the Holy Spirit's movement within Catholicism. Trads are one member of the group under the big tent - a stodgy, ill-manner, sour-faced, funereal, rosary counting member, but a member none the less. And there is room under the tent for us, just like there is for charismatics, Novus Ordo Catholics, and every other little group within the Church (whatever he means by that word). I am fairly certain this is Francis' ecclesiology. And from the point of view of the SSPX's situation, it is good, because it means that Francis values getting them in the tent rather than making sure they agree on everything before they can come in. I am going out on a limb here, but I believe that once faculties are restored, it will be difficult to remove them again without some kind of precipitating event or crisis. Francis cited the SSPX's excellent character and behavior as reasons for restoring their faculties. I assume the next year is a time of testing and probation for the SSPX. If nothing goes wrong, I would be surprised if they are not fully reconciled before the end of Francis' pontificate. Is that too optimistic? If even Benedict, who was sympathetic to the Traditional Mass, could not reconcile them, how could Francis? Simple. Francis is way, way more likely to simply reconcile them immediately and work out the details later. Again, he doesn't care about the doctrinal details. He just wants them in the house. He is more likely to grant them unconditional reconciliation; no preambles, no agreements, just "come on in and we'll sort it out later." Sure, some will say it is a plot - that he wants them regularized so he can begin dismantling them, as he did with the Franciscan Friars of the Immaculate. I don't know; I grant that's a possibility, but my in my gut I do not think this is the case. I suspect, motivated by some happy-clappy "We are one in the spirit; we are one in the Lord" sort of mood, he just wants everybody together and everything else can ultimately be debated later. One final point - I have argued in the past that the SSPX are/were in a state of schism. Many Catholics are divided on this, and honestly, not just because of axes to grind for or against the Society, but because the Magisterium itself has given contrary opinions on the matter and refused to definitively clarify their position. But one thing is clear: after yesterday's announcement, there is no way I can consider the SSPX to currently be in schism. The reason is simple: the Pontiff cannot give faculties to a group truly in schism. If they were in schism, reconciliation would have to happen first. If the Pope wanted to make judgments pertaining to the faculties of some oriental schism or some other break-away group, reconciliation with Rome would be a sine qua non of such discussions. Can you imagine the Pope talking about the granting or removing of faculties to a group that had not even been reunited with Rome? It would be unthinkable; nonsense, even. Like restoring faculties to the Old Catholics without first getting them back into some sort of communion. By granting the SSPX faculties, Francis has demonstrated his belief that they are not outside the pale. Not that they are in a perfect situation, either. The pope had said in his statement that he hopes the SSPX will recover "full communion" with Rome, which obviously speaks to the point that the Society's position is still irregular and that they are not in perfect communion. There is still work to be done. But I can't see how they can still be in schism. That's not to say I believe they were never in schism, but I cannot see how they are still in that state now. Of course, there is one other option to consider - that neither the Pope, nor anyone at the Vatican, knows what their true status is; in fact, "status" may not even be a concept that this pope cares about. After all, this is a man who calls a Protestant pastor "my brother bishop." That words like "schism", "communion", "reconciliation" and so on no longer mean anything and anyone trying to sort out of objective status of the group is trying to nail Jell-O to a tree. I do not know how to sort out the particulars; any attempt to do so presupposes a kind of consistency on the part of the Magisterium and a uniformity of the definitions of words and canonical terms, something nobody can presume upon anymore. That is why it is enough for me to simply say, this is a good thing. I pray for my brethren in the SSPX. I pray they will find away, in the wisdom of God, to be fully reconciled in the Church with a regularized status in full union with Rome and exercising a legitimate ministry. This is a very powerful step, and it is one I rejoice in unconditionally. I would also add that i think that they were in schism until the lift of excommunications. Since then, they weren't formally schismatic, but the canonical irregularity stemmed from lack of incardination. Only incardinated priests have faculties to offer Mass licitly and grant absolution validly (except ofc for the cases of ignorance of faithful and all those cases where Ecclesia supplet). But since he's the Roman Pontiff he can certainly grant the faculties to a nonincardinated priest, since the condition of incardination is Ecclesiastical Law, and the Roman Pontiff is the Lawgiver of the Ecclesiastical Law. The Society couldn't possibly be in any state of schism (as though there are degrees) because schismatics don't fall under any Canon Law at all. Further, there has been not ONE official Church document solidifying any attachment of SCHISMATIC status to the Society. None. Not one ever in the history of the Society as it has existed since 1 Nov 1970. Faculties won't "expire" after the Year of Mercy because faculties already exist by supplied rather than ordinary. Canon Law so states. To continue to even imply schism is truly unfortunate, and one of the reasons I stopped reading this blog. This article just happened to be shared onto a traditional Catholic page I help run. What on earth are you talking about? I said specifically that they are not in schism at this time. As for there never being one official document hinting the SSPX was ever in schism, do you think the three references of John Paul II to schism and schismatic acts in Ecclesia Dei 3,4 and 5 mean absolutely nothing? is of the devil, and that plus the collapse of vocations is what the past 50 years has given us. As far as my prayers for reconciliation, it is the SSPX that needs Rome just as much as the Church needs the men and women of the SSPX. As long as the Society maintains an attitude of "Rome needs to convert before we return" they are doomed. If I knew I was in less than perfect communion with Rome, I would do anything - ANYTHING - to get back into full communion, regardless of what the Church was or was not doing. Insofar as certain members of the Society treat full communion with Rome as if it is something negligible or something to be bartered about or like they are waiting for Rome to accede to all their demands, well, to that degree (in my opinion) they are falling away from the right disposition. It is irrelevant what Rome's disposition or intentions are, in my opinion. They are irregular and in imperfect communion. It needs to be reconciled. End of story. That's not to affirm all of the errors of the modern Church, but it is to say that whatever is going on with the modern Church does not justify maintaining an obstinate refusal to return to a normal status. Up until YESTERDAY, you had implications of schism. I say again, a schismatic group is not subject to Canon Law and never has been. Do you think Francis magically lifted some sort of schism yesterday? Are there varying degrees of schismatics? How about heretics? Half-heretic? A quarter heretic? Teensy-weensy heretic? Go ahead, provide an official Church document stating that the Society of Saint Pius X is officially declared SCHISMATIC. You will be on a fool's errand, Son. You have no authority or qualification to ever have been stating or implying that any group is schismatic, especially one that is not. That is dirty work. We know who loves him some dirty work. I hope you can clear up a matter that you have brought up, that the Pope cannot grant faculties to someone in schism. I do not have a full understanding of the position of the Orthodox, but as I understand it, they are formal schismatics, but they still have faculties and the Roman Pontiff has given them jurisdiction over their diocese. For such reason, Catholics can attend their Masses and receive their sacraments when there is no other choice for us. Couldn't the same be said of the SSPX? I am certainly not arguing that the SSPX is in schism, and I do believe their situation is far different from that of the Orthodox. Rather, I remain confused as to how the Pope cannot grant faculties to those who are validly ordained, even if they are truly schismatic. Let me first state that I do not wish to come across as disrespectful in anyway, nor am I a full time SSPX attendee. However, it's obvious the Church is in a state of emergency. Having attended many SSPX Masses, they are reverent and with no worries of non orthodox homilies coming from the pulpit. One of the primary jobs of a bishop is to protect his flock from the wolves, at all costs. Archbishop Lefebvre did such, and taught nothing but what had been handed down through the ages for nearly 2000 years. The rampant indifferentism and erroneous teaching now spread by most of our Bishops is not of the Gospel. Paul himself told us to close our ears to those false teachings, no matter where it comes from (even bishops). St. Athanasius, thankfully, fought similar battles during the Arian Heresy. Francis did not lift anything. I personally think the schism ended when Benedict XVI lifted the excommunications. I ask you again, does the motu proprio Ecclesia Dei of 1988 not count as an official Church document? JP2 mentions schism three times. The motu propio states they have no LOCAL JURISDICTION. Period. A legal matter. Not doctrinal or disciplinarian. Still waiting for OFFICIAL DOX stating the Society to ever have been in schism. You don't get to imply they were or are, and not be required to substantiate it. I am afraid I can't shed light on that. The orthodox are different because even if they were not in schism they would not be under the Pope the same way the SSPX would be because the orthodox are not of the Latin Rite. They would be in communion with him, but not "under" him in the same way a Latin rite Catholic would be. It is not my understanding that they have valid faculties now. Their sacraments are valid by virtue of their valid Apostolic Succession, not any jurisdiction or faculty. That is why they can still be had recourse to in case of emergency. Then praise God that regular Catholics will now be able to go to them for confession. Stop appealing to St. Athanasius. He is so frequently invoked here and it is abusive because his situation was very different. Ecclesia Dei specifically says the consecrations were schismatic and that the movement constitutes a schism. End of story. I no longer think this is the case, but I am not going to try to suggest that they were never in schism when the Supreme Pontiff so clearly said that they were. No, no pontiff has EVER CLEARLY stated the Society to be in schism. You keep clinging to that, but no official decree exists. Do you WANT the Society to be in schism? Sometimes it really seems like people want them to be. And praise God that "regular" Catholics can now go to Confession at the SSPX? Gee. I guess those of us that understood the Sacraments to be valid all along are just so darned "irregular". And how was St. Athanasius' plight/ "excommunication"/ OBEDIENCE TO HOLY MOTHER CHURCH any different from the current situation/ heresies of today's Church? We would like an explanation, please. I don't want them to be in schism. I am glad Benedict XVI ended the schism. No pontiff said clearly there was a schism? 3. In itself, this act was one of disobedience to the Roman Pontiff in a very grave matter and of supreme importance for the unity of the church, such as is the ordination of bishops whereby the apostolic succession is sacramentally perpetuated. Hence such disobedience - which implies in practice the rejection of the Roman primacy - constitutes a schismatic act. 4. The root of this schismatic act can be discerned in an incomplete and contradictory notion of Tradition. 5. (c) I wish especially to make an appeal both solemn and heartfelt, paternal and fraternal, to all those who until now have been linked in various ways to the movement of Archbishop Lefebvre, that they may fulfil the grave duty of remaining united to the Vicar of Christ in the unity of the Catholic Church, and of ceasing their support in any way for that movement. Everyone should be aware that formal adherence to the schism is a grave offence against God and carries the penalty of excommunication decreed by the Church's law. To me that is very clear. I do not think the Society is currently in schism. But to me it is undeniable that they were. "Schismatic acts" (debatable in and of themselves, but that's a topic for another day) on the part of Lefebvre, viewed as schismatic by JP2, did NOT render the ENTIRE Society schismatic. Nowhere does that declare the Society to be schismatic. And by that same logic, neither was the entire Society "excommunicated". No but it rendered Lefebvre's and the bishops in schism and excommunication against those who "adhered" to the schism. But I don't think I ever argued that the rank and file of the SSPX were ever all in schism. File this one under, "Only Nixon could go to China." Who specifically are "those who "adhered" to the schism"? What specifically is "rank and file"? and not in full blown schism. let's not forget that Francis as Cardinal was "friendlier" than I would say any other Bishop under BXVI in BuenosAires and was already talking and helping the SSPX in Argentina, the only country BTW where legally the SSPX and the RCC are one and only body. "Trads are one member of the group under the big tent - a stodgy, ill-manner, sour-faced, funereal, rosary counting member, but a member none the less." Why did you even have to put this snide remark about anyone who favors the traditions of the Catholic Church? Before Vatican II these so-called traditionalists were the majority of Catholics. Also, these same traditionalists are the same ones who will defend the teachings of Christ and his Church, while the modernists aim to dismantle them. All one has to do is mention SSPX and the words start flying! I don't attend their chapels, but I have attended their masses very occasionally. Always came away filled with respect for them. If we - Novus Ordo Catholics - had followed their example, the Church would be in a very different place today. Instead, we're a declining Church in deep trouble. I applaud the Pope - if these are schematics, please give us more of them. marcelo Vicentini- what you are saying is true, and I am a new anonymous. LOL...Andrew, those are all quotes from Pope Francis. That is how FRANCIS views Traditionalists. I am a Traditionalist. I am saying that's what the pope think of us. How does this work when sspx priests have different notions of sin than regularized priests? They make no secret that they believe the Sunday obligation does not obligate for the NO or non sspx masses in general. Who am I to judge, maybe they are right. But depending on what priest I go to now I might be in mortal sin for having missed a NO mass when that was all that was available, or maybe I did not sin at all? And both of these contradictory absolution are now valid. A big tent indeed. "Stop appealing to St. Athanasius. He is so frequently invoked here and it is abusive because his situation was very different." Actually, I think that would make a pretty good topic for a post! But I don't understand any of this and I don't care to: I have my own sins to tend to. Thanks to Archbishop Lefebvre for keeping the ancient Mass alive; that's all I know. I would also be very interested in a post about St. Athanasius. "Can you imagine the Pope talking about the granting or removing of faculties to a group that had not even been reunited with Rome? It would be unthinkable; nonsense, even." Yes, I can imagine, and here is why: ".... After all, this is a man who calls a Protestant pastor "my brother bishop." That words like "schism", "communion", "reconciliation" and so on no longer mean anything and anyone trying to sort out of objective status of the group is trying to nail Jell-O to a tree." I am happy Francis did it, and people who think the SSPX are in schism are well-meaning fools. The are part of what has kept Rome from abusing itself the past 40 years! 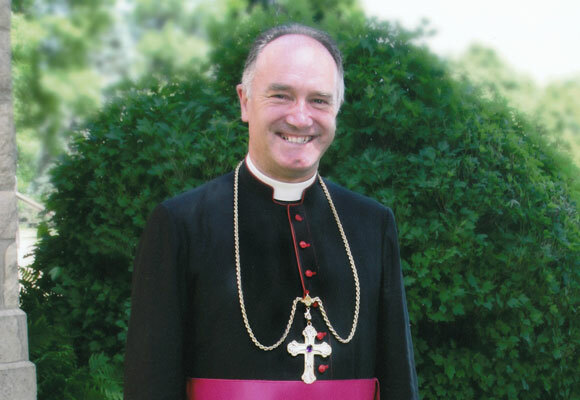 SSPX says: Vatican II must go. New Church says: Vatican II is here to stay. That is why there will be no permanent solution. This is only a temporary, short term "gesture" of "mercy" by the Pope to the SSPX. As long as the Society maintains an attitude of "Rome needs to convert before we return" they are doomed. I do agree with this. Perhaps the attitude the Society needs to live with is "as long as Rome does not require us to convert to V II before (or after) we return," they might have a chance with Francis. As others have pointed out, his, shall we say, lack of emphasis on strict doctrinal adherence may actually work to the Society's favor. Of course, once in, who knows what would happen, either with or after this pontificate. But then again, there is nothing to prevent another 1982 from happening (or whenever it was that things got messy), and they would be in no worse off position than they are now. Who knows, a one and half step forward, one step backward thing could go on for decades. Well balanced, well reasoned and well said. Thank you. There are more protestants than Catholic traditionalists. There is more to be gained by "reconciling" with protestants than with tiny claques of traditionalists. Who cares which group is a better exemplar of Catholic values? Before you can determine values you have to take polls, run the numbers, kiss babies, press the flesh. Please realize: that is the way that the clerical Karl Roves who run the Church think. Francis is sort of a "crazy Uncle Frank" among collared pols. His gestures toward the SSPX may spring from a belief that offering them a trial period of "regularity" is a way of buying off trads (just as offering drive-thru annullments is a way of buying off the first world neo-Catholic laity). Or maybe it is payoff of the debt owed to BXVI as part of the "pope emeritus" flim-flam. Who knows? Perhaps Nancy Pelosi is the prototype of the 21st century Catholic, as she claims herself to be. If y'all are sick to puking of democrats and republicans, you have some notion of how I feel about the barnyard animals who run what is swiftly becoming my former Church.